Every now and then, yet quite regularly, I find myself less experimental in the kitchen. Instead I am cooking the same dishes over and over again and couldn't be happier. Reliable dishes that deliver all the flavor and feel-good factor that you have experienced before and that you expect yet another time. 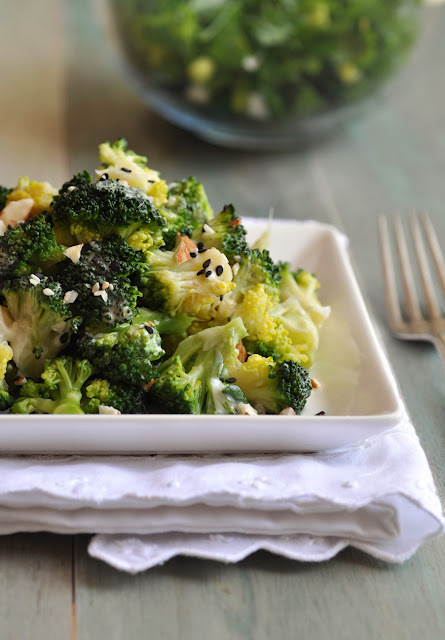 Broccoli Tahini Salad with Almonds and Sesame: ever since I started researching inflammatory and anti-inflammatory foods and their effects our bodies, this broccoli salad has become a staple lunch of mine. I'd even go that far and say, that it might get broccoli haters to enjoy this salad. It's all about flavor combination, textures and crunch. 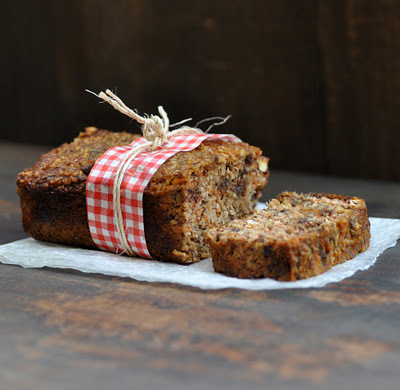 Carrot Coconut Breakfast Loaf: a delicious and most satisfying breakfast cake or snack in the afternoon. It's grain free and with no added sugar. This cake has become a staple, because I usually have all ingredients in the house, incl. the lonely carrots in the back of the fridge that beg me to be used. 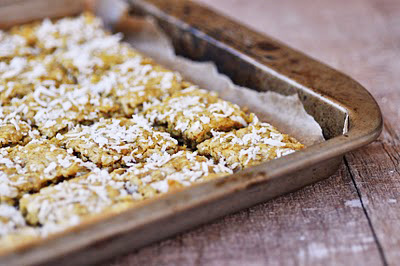 Coconut Almond Oat Crunchies: I hadn't made these cookie bars for a while. For vegan guests at a recent party, I made a vegan version by using coconut oil instead of butter, and used buckwheat flour instead of wholewheat. Delicious! 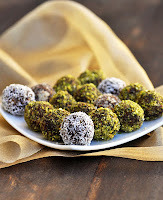 Coffee Truffles: these truffles reliably keep me going when suffering from lack of sleep. 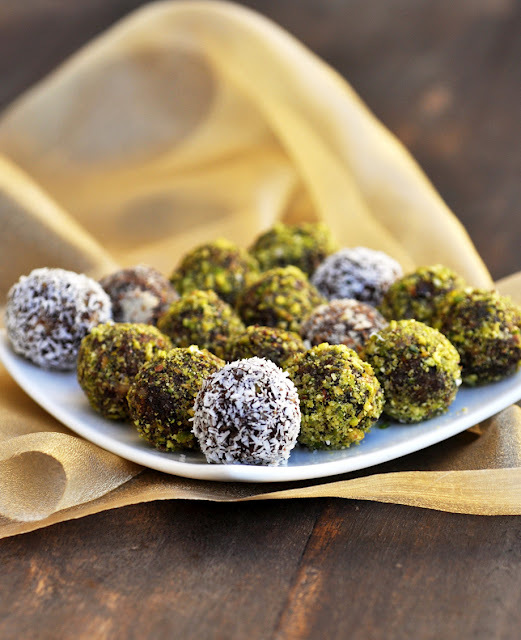 It's just nuts and dried fruit with a tiny bit of maple syrup and some coconut oil, so even without the coffee a good energy ball. 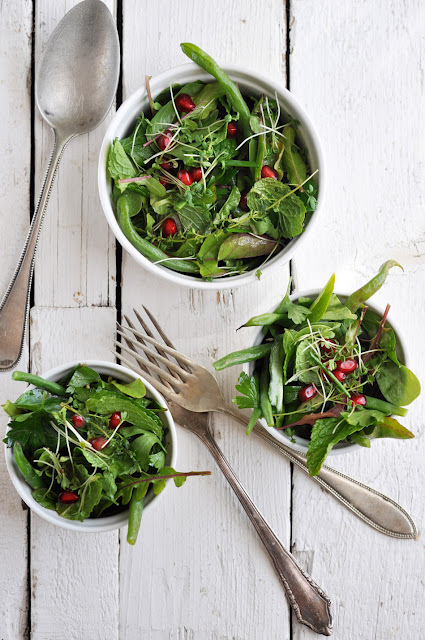 Herb Salad with Green Beans and Pomegranates: Another salad that has become regular as part of my anti-inflammatory diet. Especially loving the mint and pomegranates in this. Instead of steamed green beans, I often throw in chopped cucumber or peppers to make it all raw (and to avoid getting pots and pans dirty). 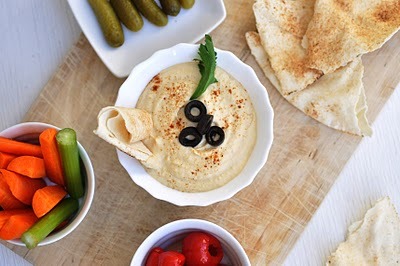 Hummus: an old classic for both weekend and weekday lunches. On weekends it accompanies veggie sticks and crackers. On lonely weekday lunches (at the computer), I finish a whole pot of hummus with 2 or 3 whole carrots. 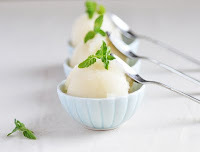 Gluten-free and vegan, and so easy to make at home. If you use tinned chickpeas, make sure they contain nothing more than chickpeas, salt and water. Lemon Sorbet: a little indulgence, but refreshing and invigorating with just three ingredients and without an ice cream maker. 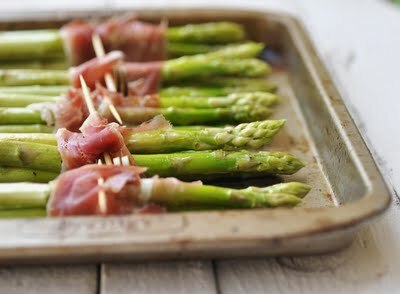 Roasted Green Asparagus: a typical spring vegetable spiced up with Parma ham. So simple, but yet amazing in taste. 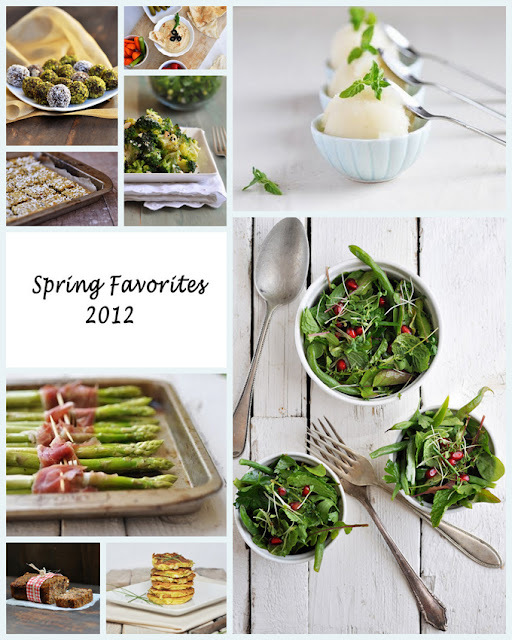 We overdosed on this dish last year. Now we are ready again. 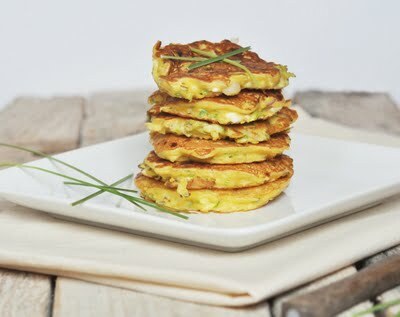 Zucchini Chickpea Feta Fritters: this is one of my favorite easy dinners, especially after my regular evening runs. Local organic zucchinis are available in abundance at the moment. Eggs are great for dinner as they are filling. For the dairy-free people of you: I often don't even put the feta in, and it is still really good. This dish can also be done with more eggs and less chickpea flour. You can't really mess it up.